The japanese Website Dcwatch had a small talk with Yoshida Mamori from Panasonic. You can read the text in japanese or very bad google english translation. 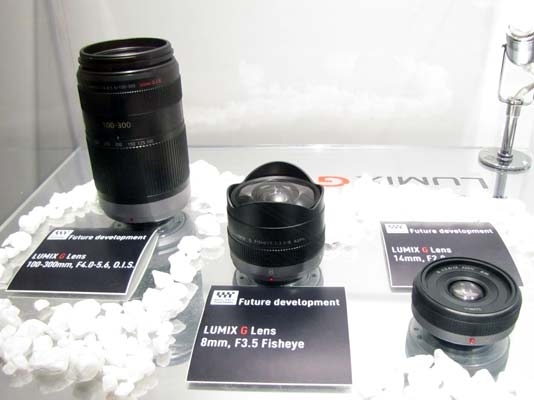 You will not find many interesting news, but some nice pictures of the future 14mm f/2.8, 8mm fisheye and 100-300mm MicroFourThirds lenses! Take a look! previous post: Panasonic 45mm f/2.8 Aspherical MEGA OIS Lens officialy launched! next post: Quesabesde interviews Michiharu Uematsu from Panasonic!